As Christians we often forget the choice we have each day to experience the joy of the Lord. In How to be Happyfrom the Heart of God Linda Berry draws on Scripture to remind us of the meaning of true happiness and how we can choose contentment regardless of our circumstances. Your heart will overflow with gladness and gratitude while reading this beautiful devotional. How to be Happyfrom the Heart of God is a self-inspired daily celebration of over one hundred happy Old and New Testament spiritual promises with practical application. Heaven and earth will collide everyday as readers are encouraged and equipped to increase positive thinking, nurture a winsome spirit, reduce stress, build faith, improve relationships with Christ, family, and friends, and discover life Gods way. Each daily promise, passage, prayer, plan, and praise will set the reader on a solid foundation for the day and end the day in a spirit of joy and thankfulness. 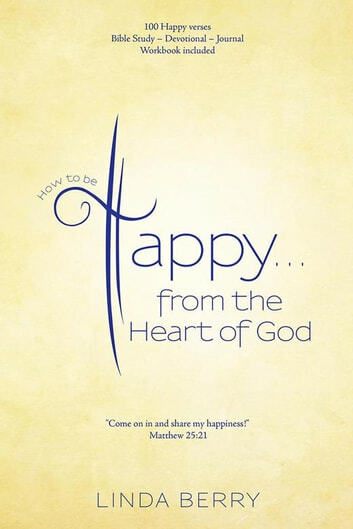 How to be Happyfrom the Heart of God encourages readers to be aware of their happiness level by participating in the Spiritual Happiness Profile, a quick and easy assessment of where your happiness levels fall on a scale of one through seven. Practice daily over fiftyand growingsuggested Habits of Happy by showing the love of Jesus to those around you. Acts of kindness build the bridge for others to receive a touch of love from God. When we give to others, we give to ourselves as well. 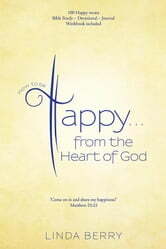 How to be Happy ... from the Heart of God is healthy inspiring and life-changing from the inside out! Rev. Dr. Albert J. Harris Jr.